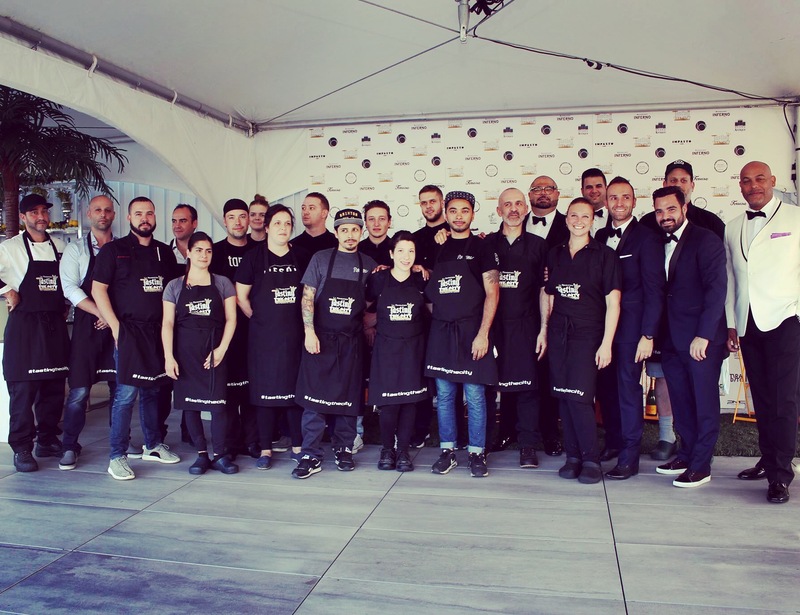 The “Tasting the City” event, presented by chef Nick De Palma, owner of the restaurant Inferno, took place on September 13, 2016. The goal of the evening was to raise money for Alzheimer’s research. Nick was able to rely on the support of Ferreira and of our chef João Dias for this fundraiser! A total of 152 guests were offered a seven-course menu with wine pairings. Ferreira prepared its Portuguese grouper recipe for the occasion. The participating restaurants included Impasto, Tapeo and Chasse-Galerie. This memorable evening raised a grand total of $90,000 for Alzheimer’s research, which is a very important cause to Inferno’s owner. Ferreira is proud to have participated this year and raises its hat to Nick for the initiative!